I am really excited about my book, published by the American Bar Association and now available through Amazon and Barnes & Noble. This book is designed to help everyone take charge of their cybersecurity, to learn the underlying principles and how to implement security measures. I created a website to parallel the book here. 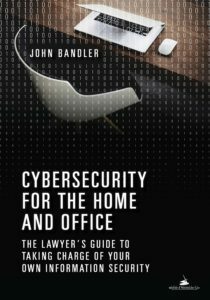 Hear me talk about the book and cybersecurity here in a podcast with John Metaxis. A single copy is a great read and beautiful addition to any bookcase, multiple copies are even better! Maybe it is not super "new" anymore, but it remains as relevant today as when it was published. People need to understand technology, information security, the risks, and how to improve themselves, and this book helps you do that. Since leaving government, I've been able to write some articles and have been fortunate to find a diverse group of publications willing to publish what I write. So far, I have written about cybercrime, cybersecurity, virtual currency (digital currency or cryptocurrency), money laundering, government, a great case I investigated when I was a prosecutor, about my friend and mentor, and about things I have an opinion about. I have served as a subject matter expert to help develop courses and write content on cybercrime, cybersecurity, virtual currency, anti-money laundering, and more. Examples include the Pepperdine Graziado Cyber Risk Professional Certification (CyRP), the ACAMS certificate courses in Virtual Currency and Blockchain and Cyber-Enabled Crime, and a law school course on cybercrime and cybersecurity. My book has been used as part of course curriculum. Forthcoming works: I am working on more articles that are awaiting publishing, and I am also working on a book about cybercrime investigation, and a book about plants. Here, I have a new page that compiled resources on virtual currency a page on email based funds transfer schemes (like business email compromise) on a cybercrime extortion fraud known as sextortion, and to diversify my range of topics I wrote about trees and plants. By John Bandler, published by ACAMSToday.org, October 23, 2018. By John Bandler, published by ACAMS Today, September 18, 2018, Vol 17 No 4. By John Bandler, Article in the Encyclopedia of Security and Emergency Management (Springer), August 2018 (DOI 10.1007/978-3-319-69891-5_26-1). Available behind a subscription-wall at https://doi.org/10.1007/978-3-319-69891-5_26-1. Cite as: Bandler J.T. (2018) Investigations: Money Laundering. In: Shapiro L., Maras MH. (eds) Encyclopedia of Security and Emergency Management. Springer, Cham. By John Bandler, published by the New York State Bar Association Journal, July/August 2018, Vol 29 No 6. By John Bandler, published by the American Bar Association Journal, July 2018. By John Bandler, published by ACAMS Today, March 20, 2018, Vol 17 No. 2. 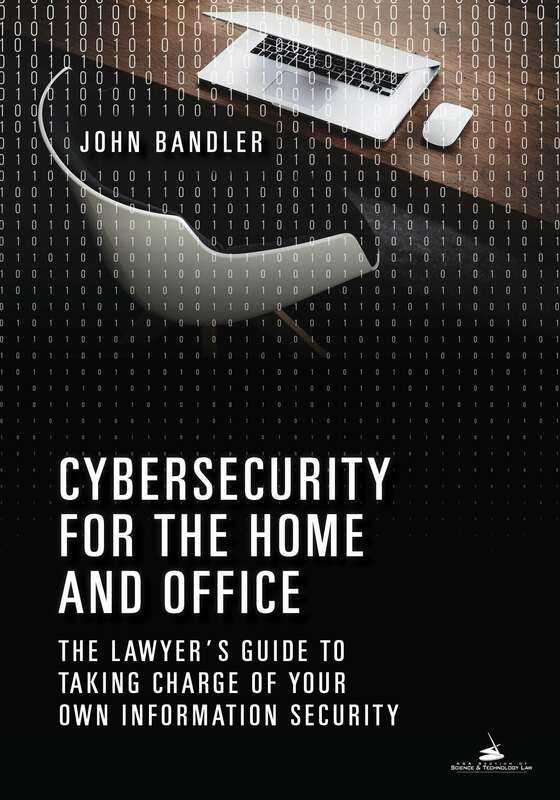 By John Bandler, published by the American Bar Association GP SOLO Magazine, March/April 2018, Vol 35 No. 2. The article is behind a paywall at the ABA site, I hope to be able to host it here soon. By John Bandler, published October 17, 2017, in the Huffington Post and also hosted here. By John Bandler. Published in the American Bar Association's GP SOLO magazine, Volume 34, Number 5, September/October 2017. The article is hosted and reproduced here on this website with permission from the ABA, Copyright 2017 ABA with all rights reserved by the ABA. The original article is behind a paywall at the ABA here. By John Bandler, published August 2017 by the ABA GP SOLO eReport. By John Bandler, published August 3, 2017, in the Huffington Post. By John Bandler, published June 29, 2017, in the Huffington Post. Hosted at this website here. On Oct. 30, 2016, tens of thousands of runners will descend upon Washington, D.C., and northern Virginia for the 41st annual Marine Corps Marathon. Created in 1976, with 1,175 runners at the starting line, the marathon has grown exponentially to include registering the maximum capacity of 30,000 runners and being administrated by a full-time organization dedicated solely to sponsoring racing events. The race is a steady symbol of the Marine Corps ethos and continues to foster military-civilian relationships. It took the leadership of one man—Col James L. Fowler—to see his dream become a reality. Col Fowler lived his entire life as if it were a marathon. As a Marine, businessman, mentor, and lifelong learner, he took on physical and mental challenges and left a legacy not only for the Marine Corps, but for those around him as well. This fall marks the one-year anniversary of his burial in Arlington National Cemetery, and the rededication of Fowler Hall, the Marine Corps Marathon Headquarters building aboard Marine Corps Base Quantico. To read the rest of the article, visit Leatherneck Magazine here (subscription may be required). Listen to me discuss my book with John Metaxas, an award winning journalist who now offers podcasting services.